Kung Fu Panda is one of those films I absolutely adore and Kung Fu Panda 2: Secrets of the Masters came out on DVD December 13th! The film earned more than $650 million at the global box office becoming one of the top five films of the year worldwide. KUNG FU PANDA 2 Awesome Packs have in addition to the movie, an exclusive debut of the all-new Po adventure Kung Fu Panda: Secrets of the Masters plus two free memberships to the popular online game universe Kung Fu Panda World. In Kung Fu Panda 2, Po must lead his friends and the Furious Five to defeat his most threatening rival yet. I watched this when it first came out and loved the story and adventure! Follow Po as he and his friends uncover the legend of three of kung fu’s greatest heroes: Master Thundering Rhino, Master Storming Ox and Master Croc. After watching the movie, kids can become a kung fu master themselves with Kung Fu Panda World. This is one of those virtual online games where they can create avatars, play games, and more. 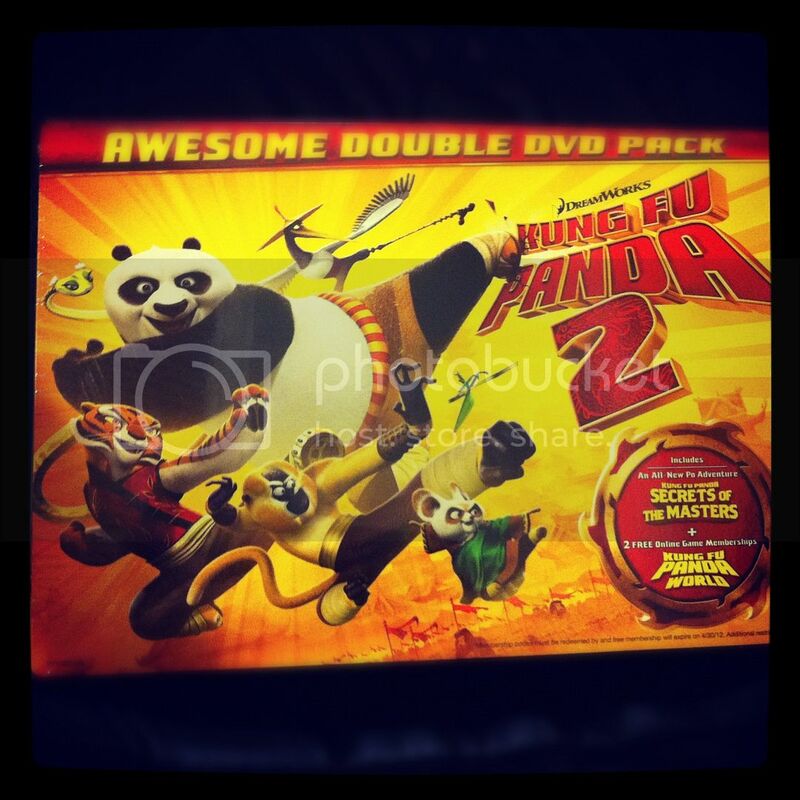 This double pack also features an episode of Nickelodeon's new television series "Kung Fu Panda: Legends of Awesomeness", Kickin' It with the Cast, Deleted Scenes, Filmmakers’ Commentary, Previews, Sneak Peaks, Kung Fu Panda 2: Secrets of the Masters movie, Panda Stories, Kung Fu Shuffle, learn Chinese and more on 2 DVDs. On the DVD-ROM, you'll find Legend of the Wu Sisters Game and lots of printable fun like coloring pages. What a fun Christmas gift for Po's fans! Buy It: Look in stores for Kung Fu Panda Awesome Packs: $25 on DVD and $30 on Blu-ray. Use this coupon to save $5 until 12/25.